I believe I've tracked down the culprits of the issue to ntoskrnl.exe and/or ntdll.sys after analyzing the crash dumps that were generated recently. Not sure what to do about that yet, but I'll try and figure it out tomorrow. Suggestions are welcome. No corruption was detected and the problem still persists. Unfortunately crashes still happen... Happened two times today before I could get in a game. The crashes are different this time around though. The first time everything just froze and I had to do a hard shut down. The second time I got a BSOD saying CRITICAL_PROCESS_DIED. This time I got a memory.dmp file, but it's 505MB large. How should I go about extracting the relevant information from it to reduce the size so I can share it here? I still need more time to test it, but last night I managed to play a quick game without crashing. 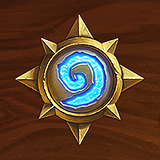 The issue might have been caused due to Hearthstone being unable to write data to the C drive (more specifically in the AppData\Local\Blizzard folder). Failing that, it would write that data in the root of the D drive which caused problems. I recently did a fresh re-install of Windows 8.1 and now whenever I try to play Hearthstone, the entire system randomly crashes. I've added pastebin links of some reports below. When it crashes, there is no way to get it back since everything becomes unresponsive. All running programs shut down, the desktop background turns black and all shortcuts return a message saying something similar to "Can't find the target. It might have been removed, renamed or deleted.". Pressing CTRL+ALT+DEL returns a message saying "Failure to display security and shut down options". The only thing left for me to do at this point is a hard shut down. - Windows is up-to-date and so are all hardware drivers. - Video driver settings are set to default. No hardware is being overclocked. No overheating takes place. Task manager shows no abnormal resource usage at the time of the crash. - Both the Memory Diagnostic Tool and ScanDisk return no errors. - Other programs/games, even those that require a lot more resources (e.g. : Elder Scrolls Online), run without problems. - Occasionally I run two instances of HS and when I do, it seems to crash faster (before I even have time to start a game). This could just be a coincidence though. - Turn off all unnecessary programs before running Hearthstone. - Lowered the graphics quality of Hearthstone to the minimum. - Added an exception for hearthstone.exe to my anti-virus (Kaspersky). - Reinstalled Battle.net and Hearthstone. Please follow the steps of our Hearthstone Lockups and Crash Errors support article, including the advanced steps if needed. I had already tried all those steps before posting. Anyway I believe I already resolved the issue as the problem didn't occur the past 2 days, but further testing will tell for sure. Thank you for providing the files and the updates, Cowtastrophe! Could you please activate Windows Secondary Logon service? Please create also a new administrator account, use it to launch the game and see if the issue persists. Thank you for your reply. I tried the suggested changes, but the issue still occurs.